Stuttering (also known as stammering, in some parts of the world) can feel awkward for the speaker, and people who stutter often feel that it is easier just to keep quiet and avoid social situations altogether, becoming more covert with their stuttering. 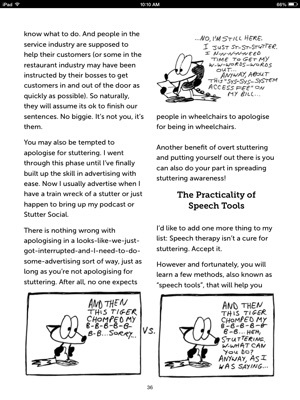 As a person who has stuttered since the age of three, cartoonist and podcaster Daniele Rossi shares his own experiences and methods for breaking out of the covert shell and becoming a person who stutters openly and confidently in all speaking situations, including giving presentations, dating, job interviews, and even dealing with those pesky, smirking waiters. All of these situations and more are beautifully illustrated in this quirky, fun, and informative book, an unparalleled resource for people who stutter of all ages! 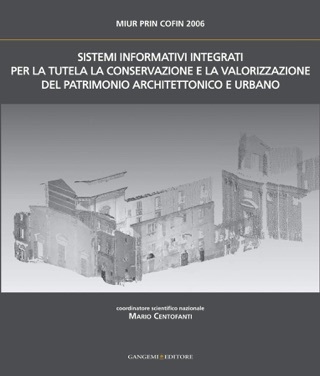 Daniele Rossi is a digital strategist from Toronto, Canada. Daniele enjoys helping others grow comfortable with their speech through his podcast, Stuttering is Cool, website ti-ger.org, and Stutter Social, the online global community he co-founded using group video chats. Daniele enjoys listening to music, astronomy, cats (particularly of the LOL variety), and repeatedly lifting things up and putting them back down again in a gymnasium. 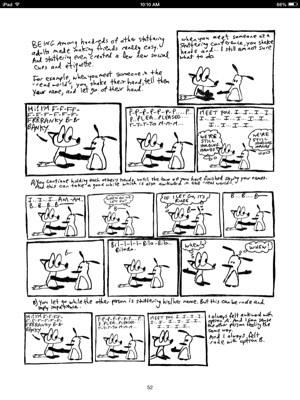 Daniele blocks on Ls, Ms and Ns,and stutters on vowels like Es and As. 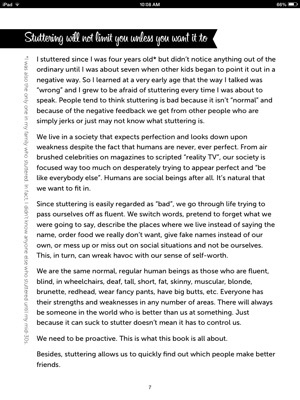 Daniele’s book “Stuttering is Cool” is great for all those of us who stutter and for those who may not stutter. 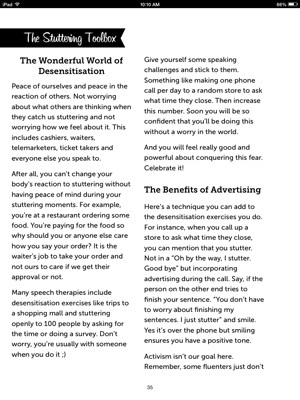 For stutters, you get practical stories and ways to live in our world. 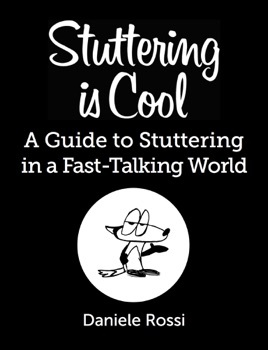 After you read this book, you’ll know just how cool stuttering is!